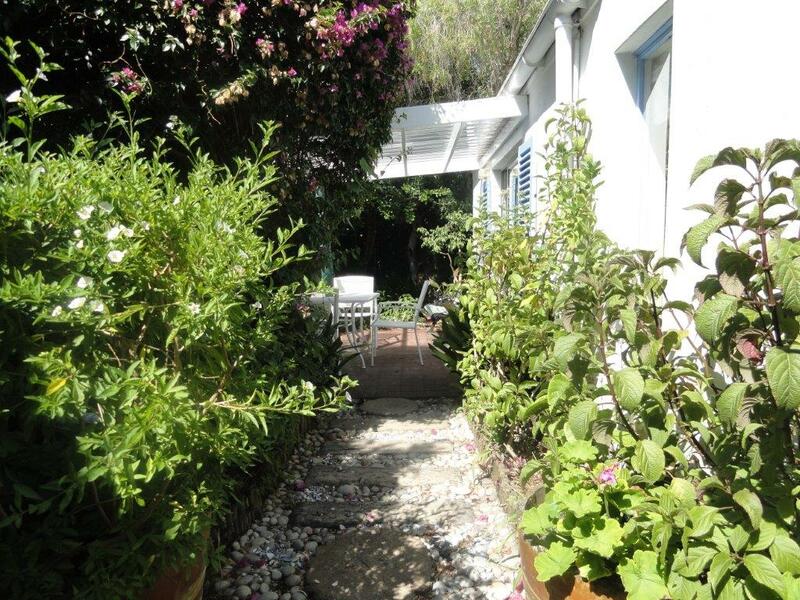 The Garden Cottage is a free standing accommodation cottage that offers self-catering in Hermanus in a pretty enclosed garden at Eastbury Cottage. 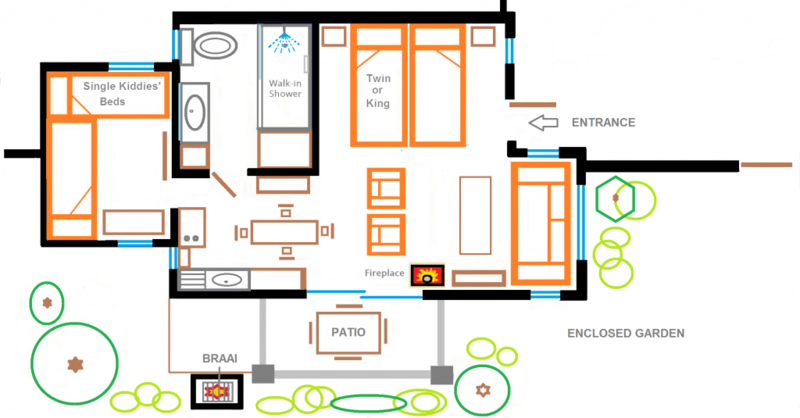 This fully equipped self-catering cottage accommodates 4 persons (Mum, Dad and two Kids) comfortably, making it family and child friendly. 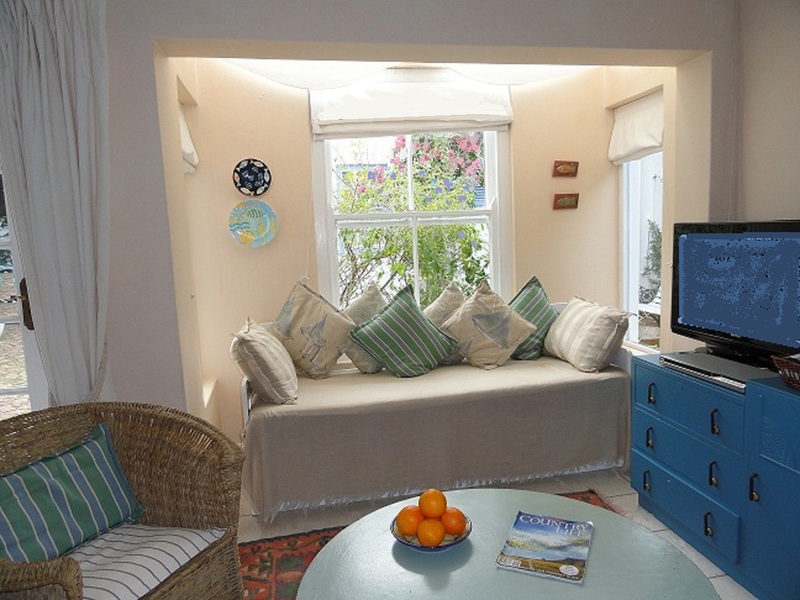 An open-plan studio type cottage accommodation unit with main bedroom, a lounge area with sunny bay window and has a NEWLY INSTALLED wood burning fireplace for cosy winter nights. 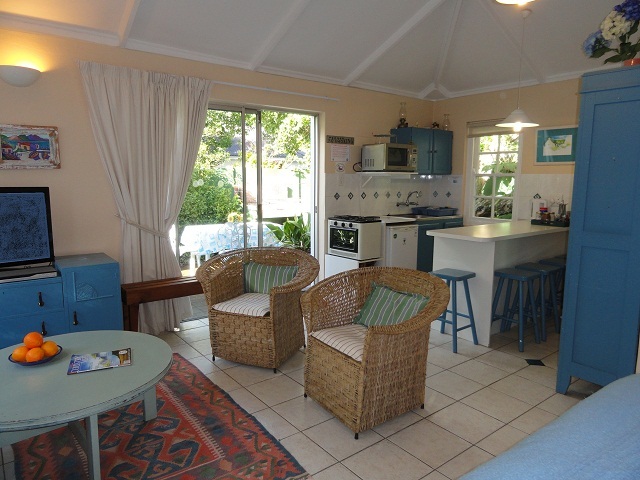 The newly renovated kitchenette is fully equipped with a two plate gas cooker, bar fridge, toaster, kettle, microwave, electric frying pan, egg boiler etc, all lead to the fully enclosed private garden with a weber kettle braai and barbeque area. A small separate second bedroom with 2 single beds may serve as either, a dressing room for a couple who enjoys a longer stay, or for a family with 2 children up to the age of 12 years. 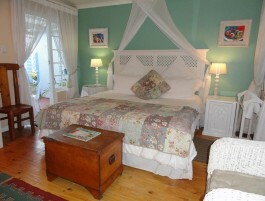 A day bed in the main bedroom serves as an extra bed for shorter stays. 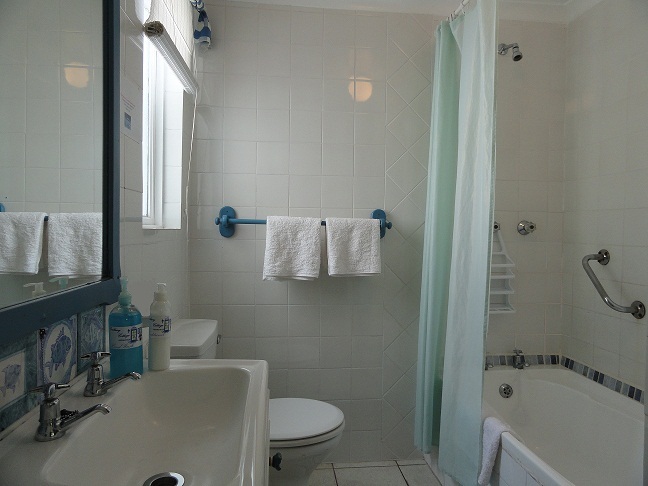 The newly renovated bathroom now boasts a convenient walk in shower for our senior guests. We shall supply a baby bath for toddlers and babies. 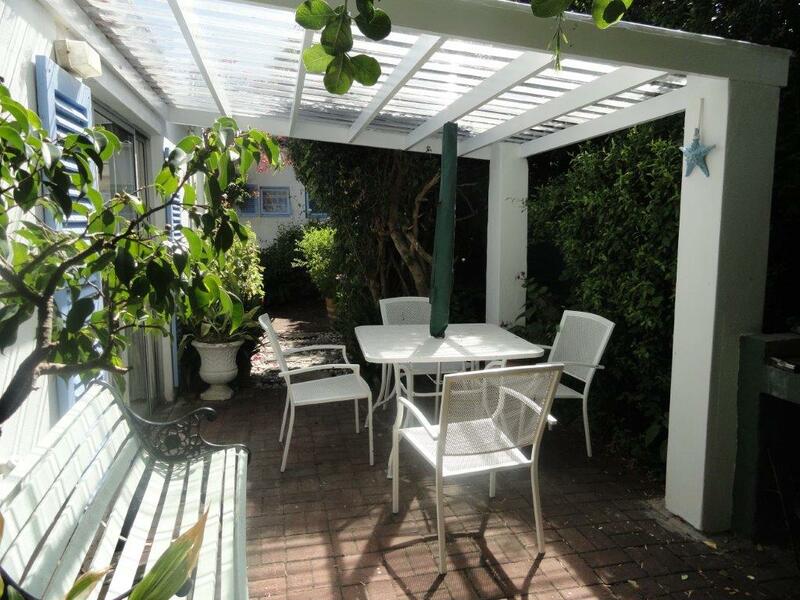 The Garden Cottage is also pet friendly, has no stairs and is easily accessible by senior citizens. 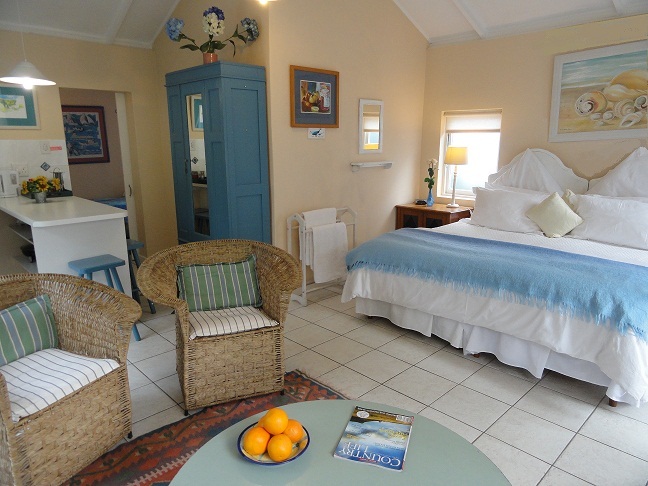 The self-catering Garden Cottage is serviced daily except on public holidays (please see our policies here) A fan is provided for hot summer days, wall heaters and electric blankets for chilly winter nights. Free WiFi/internet is available via our Reception. A wall safe is provided in each unit. Laundry facilities are close by. A baby cot, feeding chair and stroller push cart are available on request. 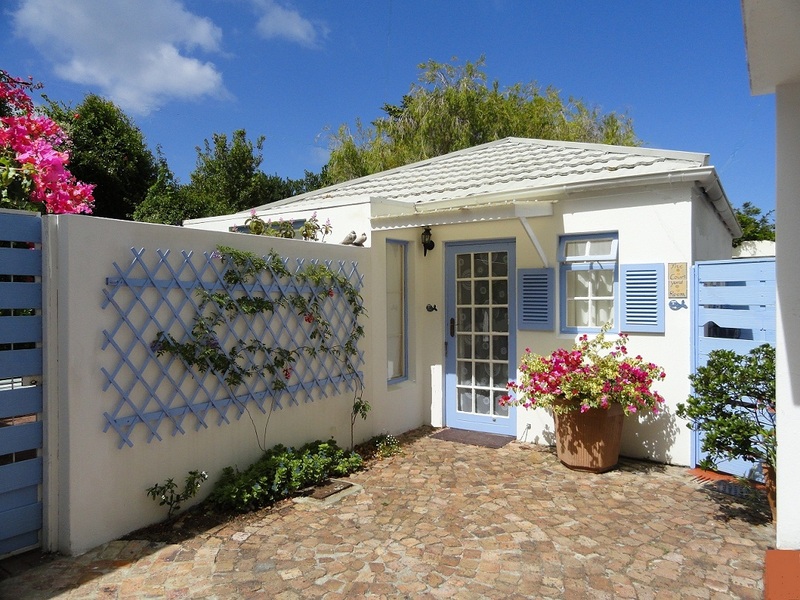 Looking for self-catering holiday accommodation for the extended family? 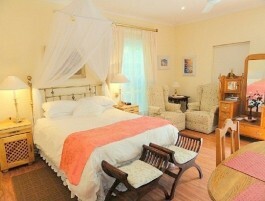 We suggest you consider booking one or two of our other superb suites in conjunction with The Garden Cottage. Take a look at the The Courtyard which is right next door, The Rose Room and the upstairs family Loft. 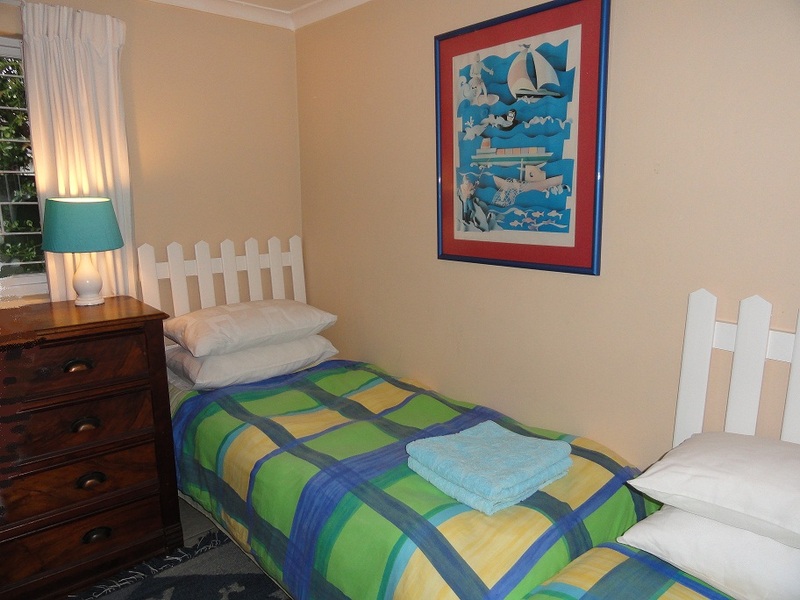 A total of 12 guests can be accommodated comfortably at Eastbury Cottage. To welcome you, a complimentary tea and coffee tray is on offer. Guest toiletries in the bathroom are also just part of the little luxuries that we hope will make you feel comfortable and at home. 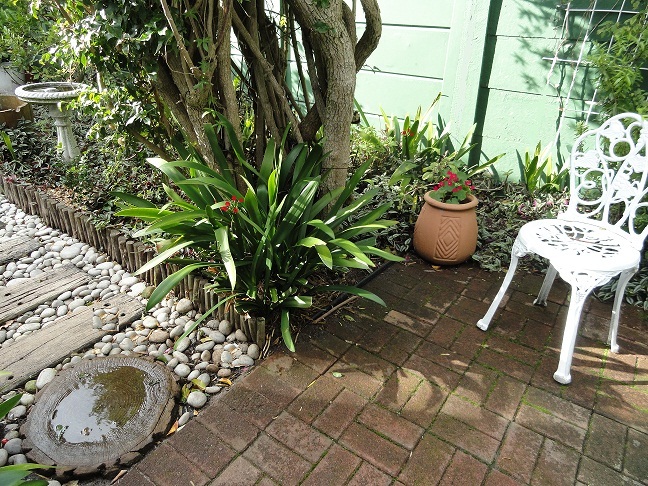 Rates are quoted for the Garden Cottage on a self-catering basis per person sharing for the first 2 persons with an additional rate per 3rd and 4th person ~ Weekends: minimum booking of two nights ~ Long weekends: will not be broken up ~ Single rate on request ~ Breakfast is available at R100pp. Click here to enquire now or call +27 (0) 826584945 for long weekends and December 15- 05 January bookings. We will not be taking online bookings for these periods. The manually updated Calendar below may differ from the Real Time Calendar above. Please contact us for availability and special offers. - Cancellation 14 days and less before arrival date forfeits the deposit. - Cancellation 30-21 days before arrival date forfeits 50% of the deposit. - Cancellation admin fee 10% of total booking cost for all cancellations. -All shortened stays are subject to the payment of the full cost of the accommodation reserved irrespective of reason. - Please ensure that you have adequate travel insurance to cover cancellation penalties. Whilst every reasonable precaution has been taken to ensure the safety of our guests and their possessions, the owners and management of Eastbury Cottage cannot be held responsible for any injury, loss or damage sustained on these premises. A walk in shower with a grab rail. A baby bath is available on request. Fluffy cotton towels provided. Beach towels on request. Hairdryer provided. Flat screen Smart TV. DSTV (All Mnet Movie Channels, All Super Sport Channels and News Channel) OR Bring your own decoder and card. DVD player provided and complimentary library at Reception. Wood burning fireplace installed for cosy winters. 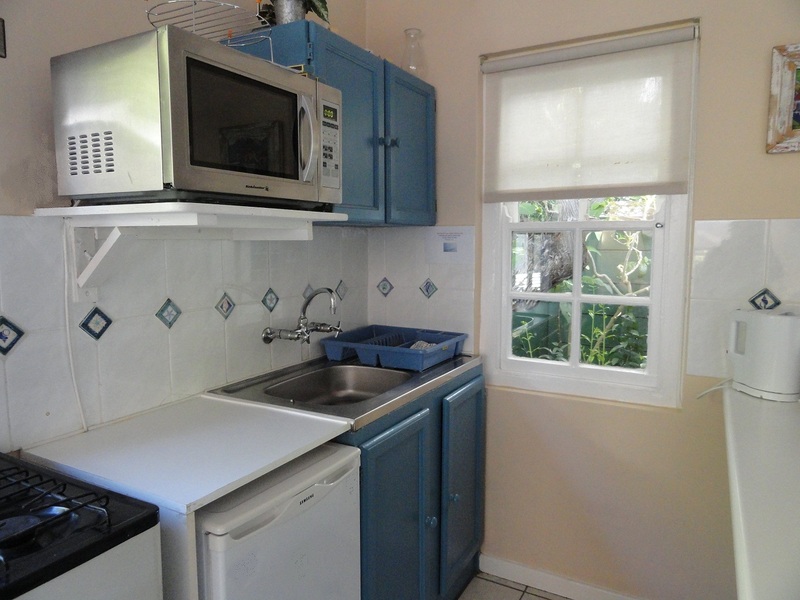 The fully equipped kitchenette has crockery and cutlery, a gas stove and oven, grill/convection microwave, toaster, kettle, electric frying pan, sandwich toaster and under counter fridge, (additional freezer space on request). Baby feeding chair on request. Designed for a family, a king size bed (or twin beds) in main bedroom and two single beds in second bedroom, accommodate 4 persons. Additional sofa day bed on request. Baby cot on request. 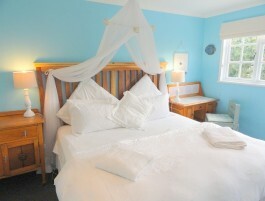 We use non-allergy, high quality duvets and pillows, fresh, crisp linen, to provide the perfect sleep. Secure off street parking for one vehicle. Unfortunately we do not allow smoking in our facilities. We provide ash trays outside. This unit is pet friendly. Please see our pet policy here.